Pirates attempt to create a game that matches the name on the box, but with only horrible, agonizing pain to show for it. What TV executives call "retooling"
I finally have Super Mario Advance 4 out of my system, but I’m still on kind of a nostalgia kick. 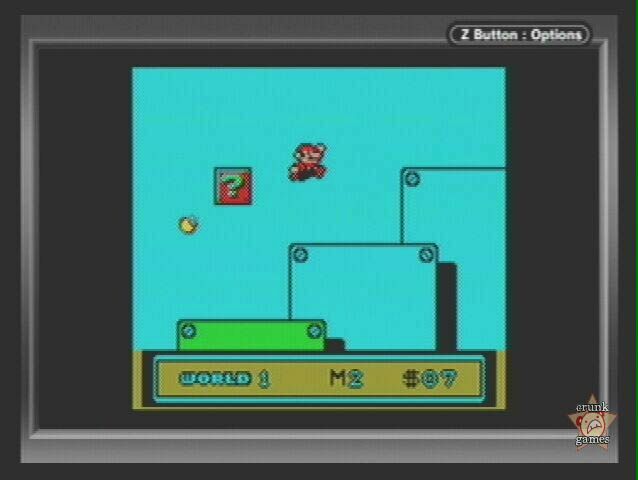 You know, back in the dark ages of 2000, we could only dream of playing SMB3 on our Game Boys. 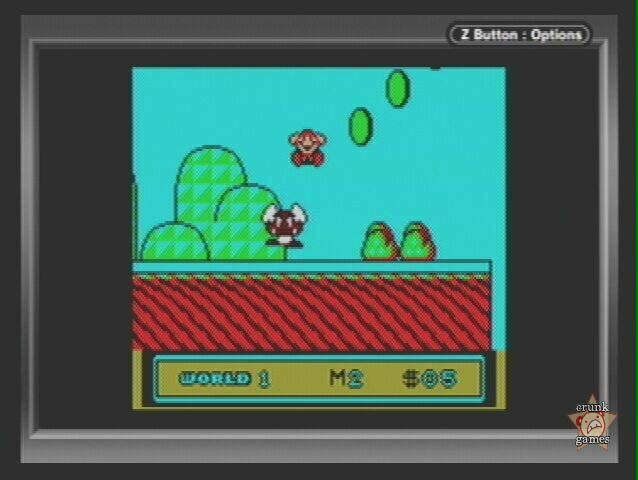 Nintendo gave us SMB Deluxe, sure, but how were we supposed to know what was next? Well, it just so happens that some enterprising pirates from the promised land (Hong Kong) decided to take matters into their own hands and port Mario 3 themselves, getting dirt poor workers to slave away for a few weeks (too generous; let’s say hours) and get a horrible, awful, rank piece of software out to the masses. 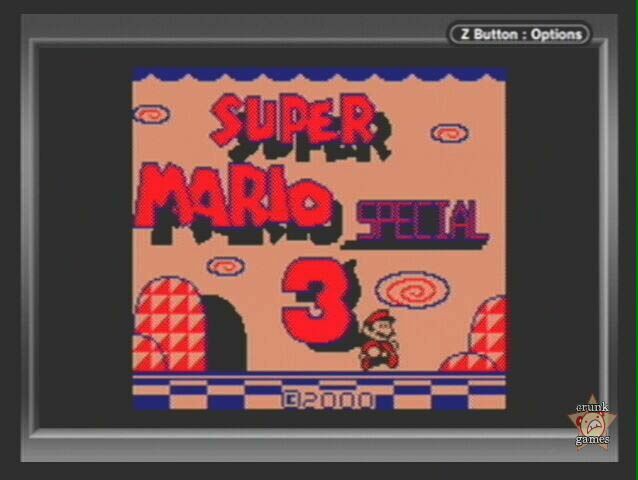 It would come to be known as the brilliant title Super Mario 3 Special. It’s brilliant because, really, this game is very, very "special." Super Mario 3 Special is housed in a pretty green cartridge, which is the only thing going for it. Like other pirate productions, the packaging is an amalgam of others’ work: the box template from other GBC games is present in order to pass off some inkling of authenticity, and in the middle is the box art from Mario Party complete with ugly new logo. On the back is a blurry copy of the back of Mario Party’s box, its screenshots suggesting that this may be some sort of super-duper Game Boy game we’re about to play. If that all weren’t enough, and to make this truly hilarious, the entire instruction manual, front to back, is ripped off from Mario Party’s. I suppose you can’t fault them for trying, but in this case I will. But the game … hoo boy. You know you’re in for a bumpy ride when you turn the power on and see the title screen tainted with an obviously unfinished and hacked-in "SPECIAL" logo, and that the Mario running across the screen reveals his third hand in every other frame of animation. Assuming you’re not too scared to press Start at this point, you’re then greeted with the world map, which is a very different species from the original. 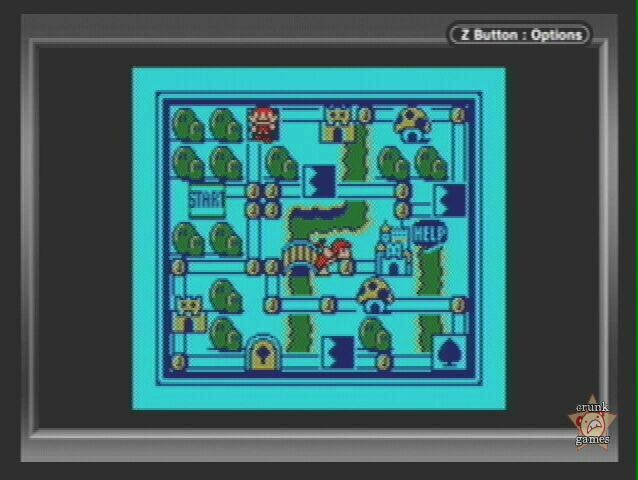 It looks like there’s a lot of places to go, but the fact is there’s only five stages: the four black panels and the spade panel, which actually leads to a fortress. Even the active Hammer Brother can’t be challenged. Oh, but at least you can select a level freely. Hell, you have to finish the GBA version first before you get do that! Those pirates sure knew what they were doing. Then it’s on to the pain. The control is just atrocious; Mario moves somewhat like a drunken Sonic, actually, gaining speed after walking for a little while and therefore incredibly hard to stop. 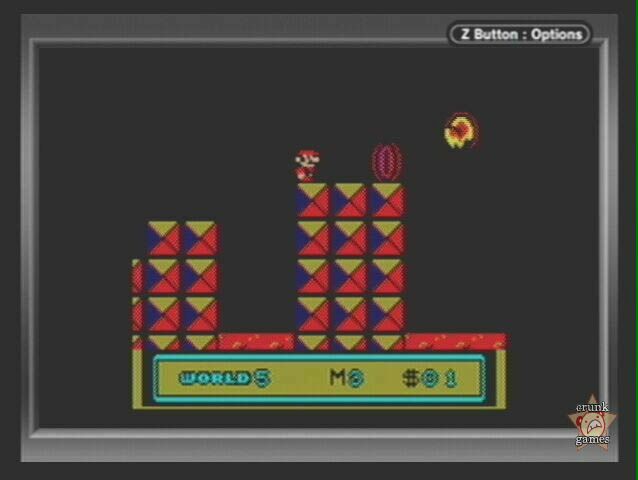 Jumping is even worse as Mario frequently skids after landing, nicely screwing you up once more. If you’re good enough, you can eventually get a Super Leaf and turn into Raccoon Mario, who can float for a couple of seconds (with the B button?!) before just falling like a rock, and can’t even use the tail swipe attack. Fun fun fun! Each level appears to be reproduced faithfully, but they very quickly degenerate into crack-addled messes of blocks, holes and enemies in a bizzarely sick attempt to make up for the fact that there’s only 5 levels in the first place. It all seems endless, but at least one level has a goal, with a question block in place of the spinning card block, and once you hit it … the game locks up, which should be a screaming loud message that you should probably stop playing, now and forever. Apparently, in this particular group’s quest to reverse-engineer the GB, they couldn’t seem to extract the color white, so everything blends into the sky blue background. It wasn’t enough to siphon out the fun, was it you bastards? You had to go and make it a two-color mess as well! And the music isn’t any better, either, in fact it’s worse — imagine your cat taking a nap on a toy keyboard and you basically have it. All of it is either a grating interpretation of the original music or ear-melting tunes that have no place in the Mario universe, or the universe in general. If you don’t believe me and my toy keyboard remark, click here for a sample of the game’s mindblowing version of the Grass Land map theme, then listen to me play the same thing on a Casio keyboard I got for my 8th birthday, then decide for yourself who’s the better musician.